Remarkable new online platform which has plenty of new features – and best of all, it’s still 100% free! into current and potential income and most importantly, it provides actionable data you can use to make facility transforming decisions. 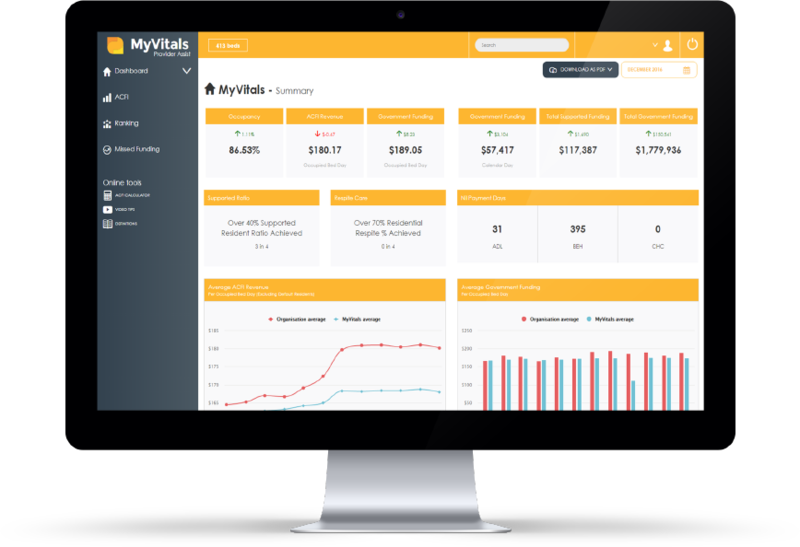 Once you connect to MyVitals it provides powerful operational insights for every level of your organisation - at the click of a button. Easily identify and take pro-active actions to improve income and measure their impact over time. Compare your facility’s performance to relevant industry benchmarks. Get started by filling in the form below and someone from our team will be in touch shortly.